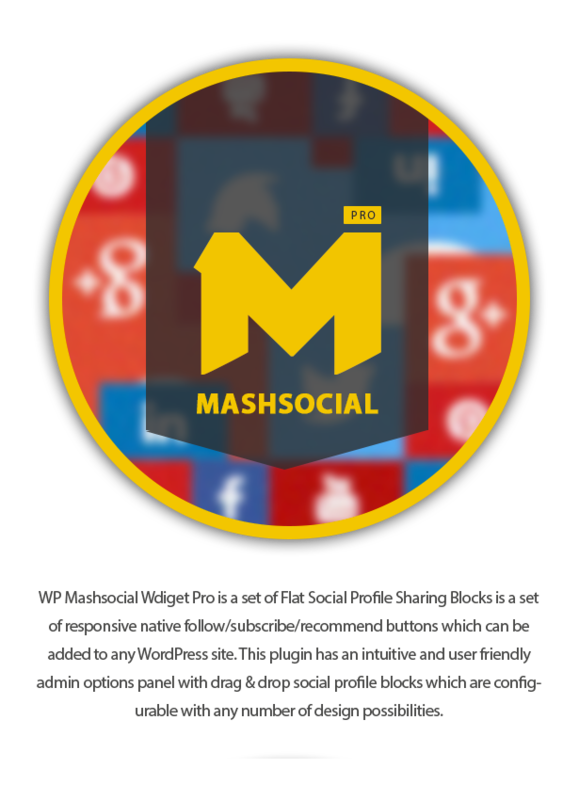 WP MashSocial Widget Pro (formerly: WP Flat Social Profile Sharing Blocks) is a set of responsive native follow/subscribe/recommend buttons which can be added to any WordPress site. 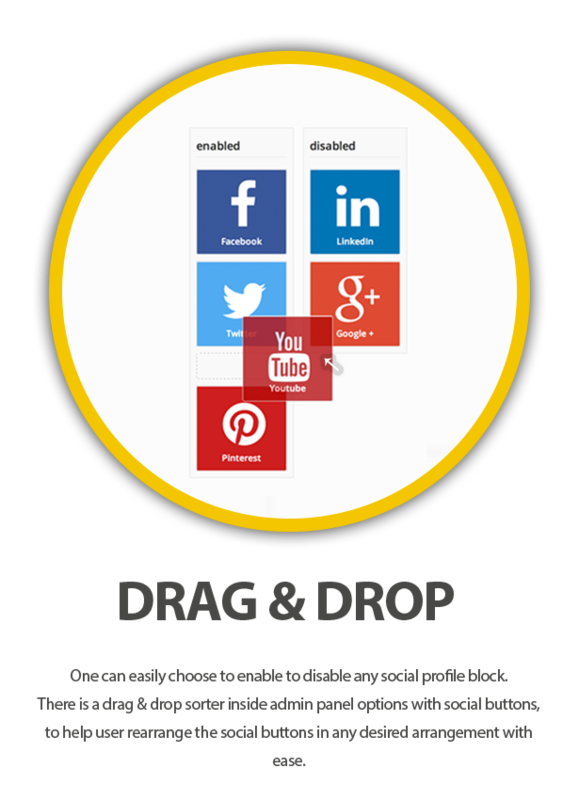 This plugin has an intuitive and user-friendly admin options panel with drag & drop social profile blocks which are configurable with any number of design possibilities. 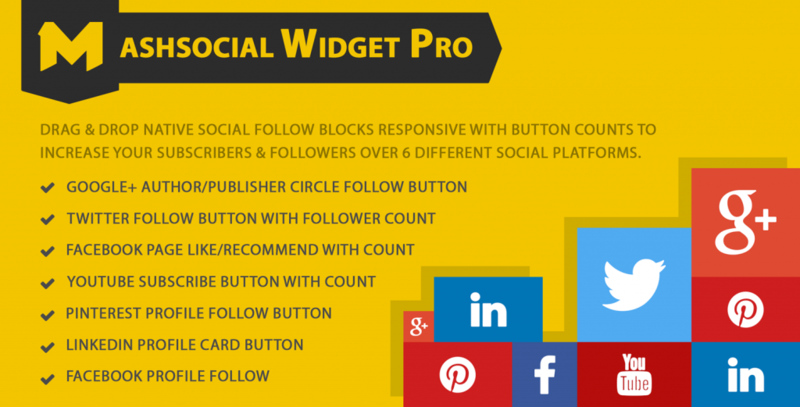 With so many plugins using APIs to implement social profile sharing and displaying only numbers with social icons, there was a not a single plugin which could display native follow/subscribe/recommend buttons. * One can easily choose to display the follower counts or disable it. 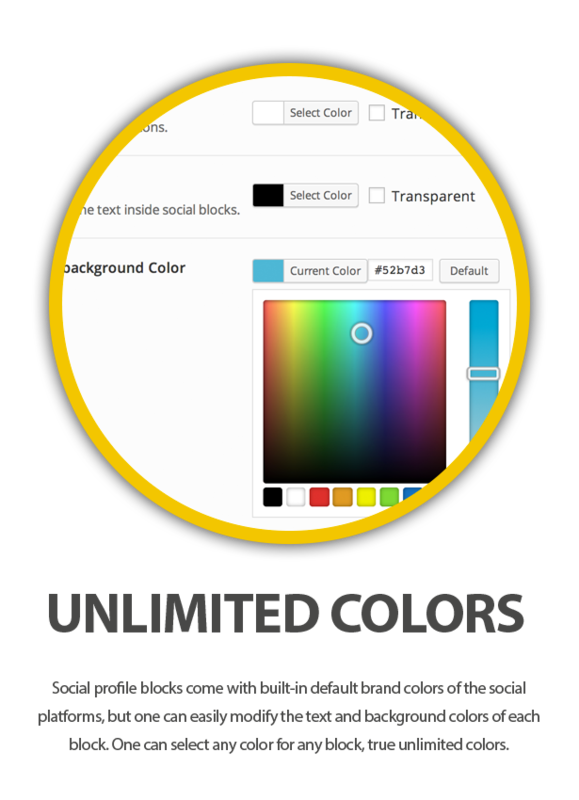 * There is a drag & drop sorter inside admin panel options with social buttons, to help user rearrange the social buttons in any desired arrangement. 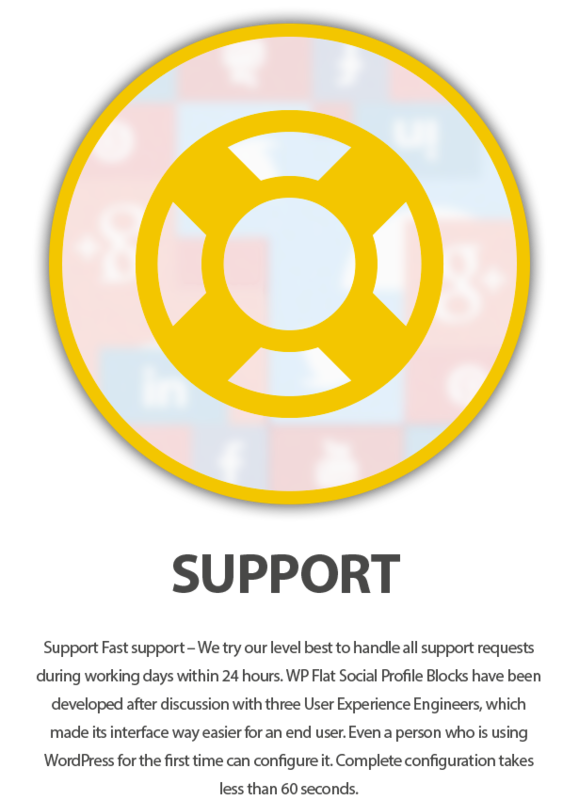 * Each social profile button is displayed in a social profile block. 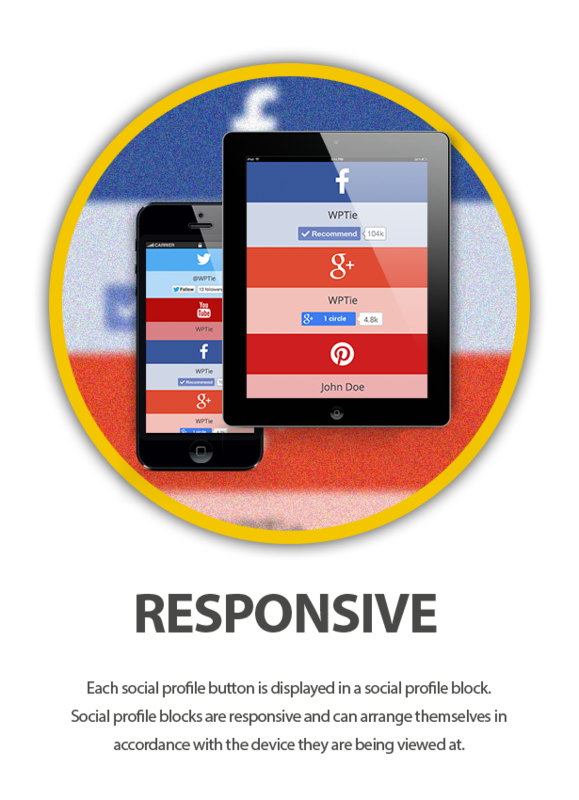 * Social profile blocks are responsive and arrange themselves in accordance with the device they are being viewed at. 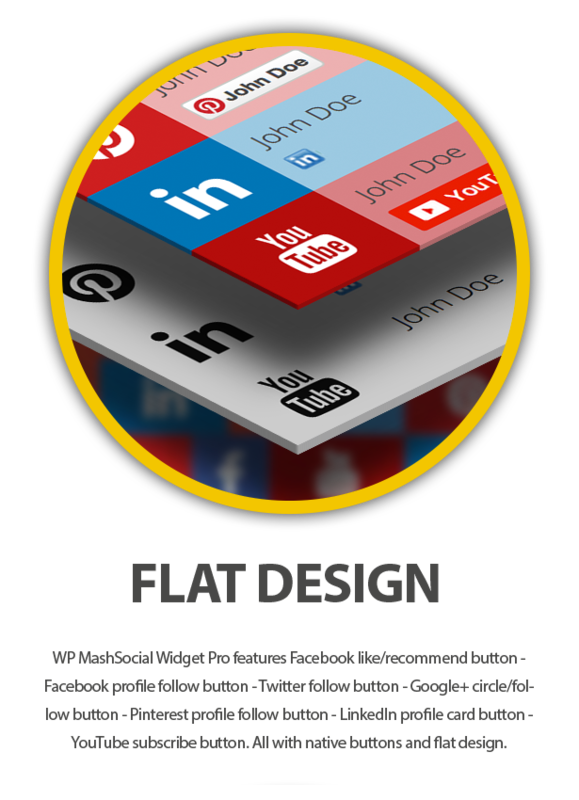 * WP Flat Social Profiles blocks has been coded with HTML5 & CSS3, it is retina ready, as in one can scale these buttons to whatever desired size, social icons are being displayed by FontAwesome. 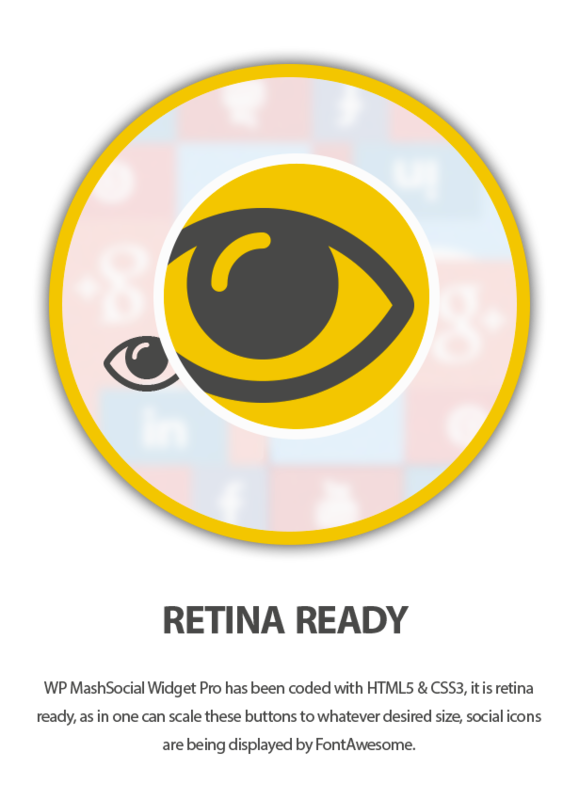 WP MashSocial Widget Pro have been developed after discussion with three User Experience Engineers, which made its interface way easier for an end user. Even a person who is using WordPress for the first time can configure it. 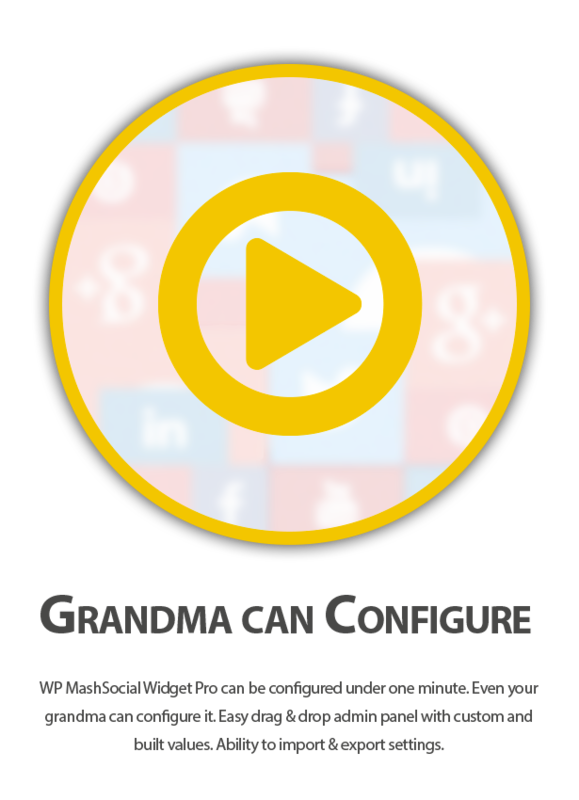 Complete configuration takes less than 60 seconds.